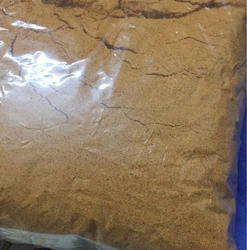 We are offering an excellent range of Mix Jeeravan Powder. Simply enhance the taste of various India preparations. Our range of Jeeravan Powder is appreciated by our customers for its unique aroma & taste. Spices and condiments are soul of Indian food. They have been exported since ages. Indian cuisine is famous for its use of spices. Jeeraman is one of the best natural masala which can be use with many food products. INGREDIENT:- Salts, Chilly Powder, Cumin seed, Asafoetida, Dry Ginger, Dry Mango, Fennel seed, Turmeric and Other Spices. We offer a special type of masala that is known as Jeeravan Masala. It is made from salt and cumin. Offered jeeravan masala in competent rates. We have the capability to offer them with customized packaging. Masala Salt (Jain Yellow Namak) is a traditional Food item which is mostly used by Jain community in their meal. You can use this Masala Salt with Snacks, chips, peenets, Black gram and Fruits like Banana, Orange, Guava etc. 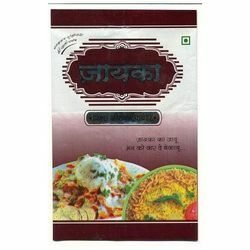 You can use this salt with Masla Papad with Tomoto and Onien etc. Give Indori touch to your Poha, Paratha & Curries here is exclusive Blended of 18 Spices that well do all that & more. We are affianced in presenting to the industry a top class range of Jeeravan Powder.